As advisers move away from the vertically-integrated model, platform technology providers are responding with better solutions for privately-owned dealer groups and individual advice practices, writes Andrew Alcock. Australia’s wealth management industry is undergoing a significant transformation. A result of market forces, a growing number of financial planners are opting to part ways with some of the largest financial institutions in the country, choosing to obtain their own license or to join privately-owned dealer groups. According to Money Management’s Top 100 Survey 2017, some of Australia’s largest privately-owned advice groups have increased in size in the past year. Synchron grew its planner numbers by 22, Dover Financial Advice grew by 72, and InterPrac Financial Planning grew its authorised representatives by 55. In contrast, some of the largest aligned groups have been shrinking and only 15 per cent of them reported growth of financial planner numbers. One of the reasons for the move of planners from aligned groups to non-aligned groups is the limitations imposed on planners by closed approved product lists (APLs). Outside vertically-integrated organisations, financial planners have a wider choice and freedom to provide what they genuinely consider the best possible solutions for their clients – without the restrictions of APLs. A recent example is new dealer group Wealth Management Matters (WMM) who have recently been established and obtained their own Australian Financial Services Licence (AFSL) to access the choice and flexibility required to provide the right solutions for their clients. WMM’s general manager, James McCowan on obtaining their AFSL, appointed Quilla as their investment management consultant and established their own managed portfolios on the HUB24 platform for their founding member firm, WCA Wealth Management. Leveraging our managed portfolio functionality to provide a compliant framework, WMM was able to enjoy enhanced efficiency and compliance benefits whilst utilising the investment expertise of the Quilla team to build his ideal client portfolios. Working with our team WMM was able to bring together the platform technology with their preferred investment manager to provide the optimal managed portfolio solution for their clients and advisers. This is not an isolated example. We are seeing more and more advisers obtain their own AFSLs and build their own portfolios, using the managed portfolio framework provided by some platforms in addition to leveraging the governance and expertise of professional investment partners to respond to their client’s needs. Increasingly, advisers are realising that the selection of the right platform provider can significantly impact the potential to maximise efficiencies and outcomes for their businesses and clients. One of the biggest differentiators between platform providers is the ability of the platform to adapt to the technological tools that advisers are currently using. At HUB24, in the spirit of full integration, we decided to open our technology’s Application Programming Interface (API) late last year, so that advisers could integrate our platform with their current technology, rather than pushing them to switch their existing tools to adapt to our platform. As every advice business model is unique, we’re allowing practices to choose the technology solutions that suit their specific needs and integrate them with our platform. The platform’s open API allows third party applications, such as financial planning software, CRMs, self-managed superannuation fund (SMSF) software, robo-advice channels and licensee adviser desktops to feed data to and from our platform, creating significant efficiencies in advisers’ businesses. For example, advisers are using the information they already have in their planning software to onboard a client, without the need for re-keying or multiple sign-ins. Opening platforms’ API is just one of the latest innovations we’ve observed with the purpose of supporting advisers from an administrative perspective, so that they can focus on building and maintaining client relationships, rather than on inefficient processes. 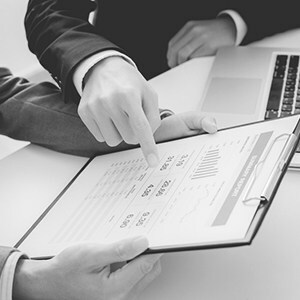 As advisers continue to obtain their own AFSLs like WMM or join privately-owned dealer groups with more flexible APLs, the use of platforms with enhanced functionality, flexibility and ability to integrate with other technology tools will be key to success in this evolving wealth management industry. Andrew Alcock is the managing director of platform provider, HUB24.